With both Ryan Newman and former series champion Matt Kenseth advancing deep into the 2014 Chase for the NASCAR Sprint Cup without the benefit of a win, there is plenty of conversation about the possibility of having a winless champion at season’s end. Since NASCAR was founded in 1949, no premier-series champion has even failed to win a race, but Newman said today that the prospect of a winless champion is becoming more likely with every passing race. He also said he would feel no need to apologize for becoming NASCAR’s first winless Sprint Cup Series champion. While other drivers have won more races, led more laps and put up flashier statistics this seasons, Newman said consistency continues to pay dividends for him and his Caterpillar Chevrolet team. “This points system is a little bit different,” said Newman, who has led just 41 laps all year. “Our consistency has been our strength, and our consistency has not been in the Top-3 (finishes). Our consistency has been fifth to 11th more often than not, and it’s been very difficult for us to lead laps. Our last laps led were at Talladega. Asked how he deals with the pressure of the 10-week Chase, Newman joked, “I medicate myself. The Richard Childress Racing veteran said he prides himself on giving a high degree of effort every week, without the peaks and valleys in performance suffered by other drivers. “I’ve always tried (to) give the same effort at each and every race. We’ve done that the last few weeks, (on) pit road, (with) myself, the crew guys with the racecars and strategy-wise. Everybody is stepping it up a little bit. We’ve improved the second time we’ve come to these racetracks, which is a big deal for us as a new team to show improvement. “I know it’s important to finish,” said Newman. “I’d rather finish seventh than 27th without risking too much. At the end, you don’t have to win a race to win the championship. Mathematically, you can finish 39th or 40th at Homestead. That’s not something anyone wants to see, but that’s the math of it. It’s not likely to happen, but I just go out there and do the best job I possibly can. If he can make the cut to the championship race at Homestead Miami Speedway in two weeks, Newman said he is capable of emerging with the championship trophy in hand. 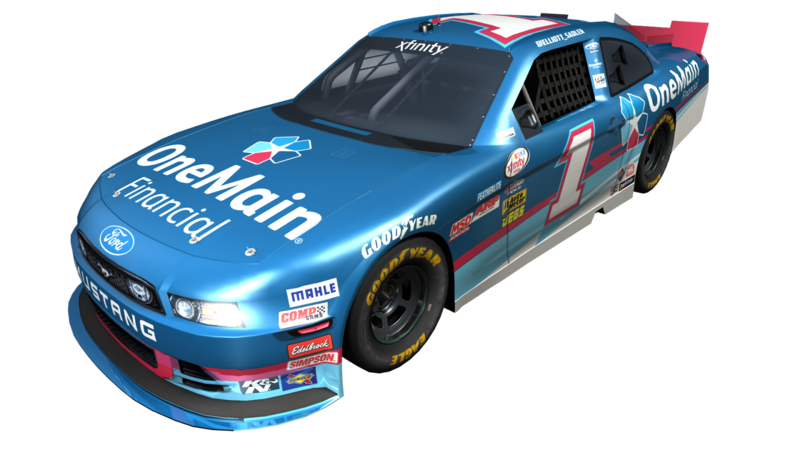 OneMain Financial announced today that it will be the primary sponsor of Roush Fenway Racing’s No. 1 OneMain Financial Ford Mustang driven by Elliott Sadler in the 2015 NASCAR Xfinity Series. This sponsorship reunites the two organizations, as OneMain Financial (previously known as CitiFinancial) sponsored Roush Fenway entries in the NASCAR Nationwide Series from 2008 to 2010. The 2015 season will mark OneMain Financial’s 12th season in NASCAR, and the company’s return to a full-season sponsorship. 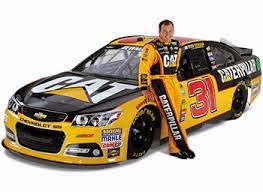 Sadler, a NASCAR veteran, will continue his relationship with OneMain Financial as he competes for a championship in the 2015 season. Sadler has 260 Nationwide Series starts to his credit, earning 10 wins, 16 pole awards, 61 top-five and 128 top-10 finishes. During the previous three full seasons, Sadler finished fourth in 2013, and second in 2012 and 2011. 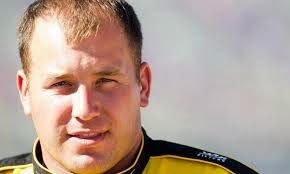 He was also voted the 2011 Nationwide Series Most Popular Driver. In 2010, Sadler became the 21st driver to win a race in each of NASCAR’s national series. “It’s great to have OneMain Financial back on board,” said Roush Fenway president Steve Newmark. “They are a first-class organization from top to bottom, a leader in their field and one of the most respected organizations in their industry. We enjoyed a great partnership in the past, and we look forward to reigniting that relationship moving forward next season. NASCAR’s Senior Vice President for Innovation and Racing Development Gene Stefanyshyn commented today on a statement by Roush Fenway Racing co-owner Jack Roush that the sanctioning body’s ban on independent testing in 2015 may not be cast in stone. “I think the final word on testing for next year has not been uttered yet by NASCAR,” said Roush on Sirius XM NASCAR Radio’s Dialed In yesterday. “My understanding is there is substantial resistance from Goodyear on what’s… on the table right now in terms of their being able to supply the tires for the number of teams that NASCAR anticipates going to the Goodyear tire tests. Stefanyshyn appeared to lend credence to those comments today, saying in a written release, “When we announced on Sept. 23 the rules package for the 2015 season, we stated that we were eliminating all team testing and would be working with Goodyear to build a unified testing plan in which the teams could participate. Richard Childress Racing will have Scott Lagasse, Jr. driving the No. 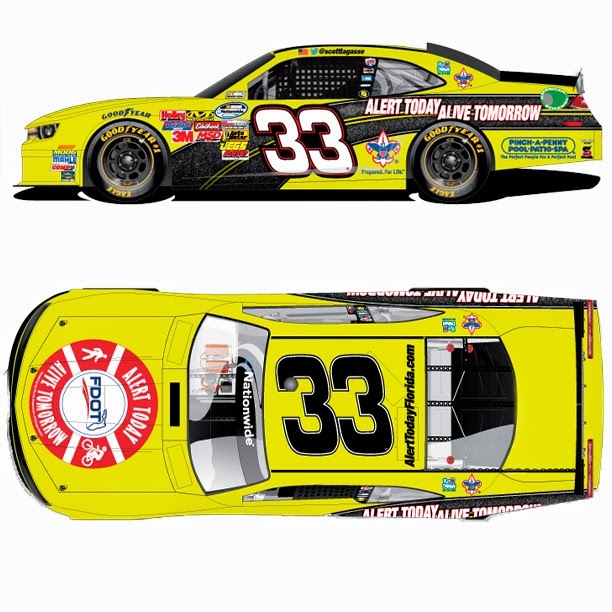 33 Alert Today Florida/Boy Scouts of America Chevrolet Camaro in the NASCAR Nationwide Series season finale at Homestead-Miami 300 on Saturday, November 15, with Nick Harrison as crew chief. "I'm honored for the opportunity to drive the RCR No. 33 Chevrolet," Lagasse said. "Mr. Childress runs a first class organization, from his team all the way down to the equipment he provides for them. Everyone at TeamSLR is excited to work with Mr. Childress, Nick and all the guys over at RCR. We're looking forward to seeing all the Boy Scouts at the race cheering us on and also delivering the Alert Today Florida pedestrian and bicycle safety message. "I am a cyclist, as are many NASCAR drivers. It's important for everyone to remember traffic laws were designed to keep everyone safe, especially more vulnerable road users like pedestrians and bicyclists. So while you're driving to work to school or even to the speedway, watch for us. Cyclists have a right to be there too, so please share the road and help keep us safe." Lagasse will pair with the Florida Department of Transportation in their "Alert Today Alive Tomorrow" initiative. The campaign helps raise awareness that safety doesn't happen by accident, reminding everyone on the roadways to pay attention while following the rules of the road. The Boy Scouts of America will also ride along as a sponsor for the 200-lap event. Lagasse will be making his third Nationwide Series start at Homestead-Miami Speedway. 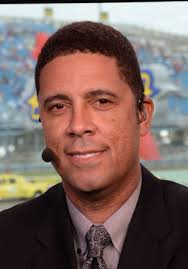 Brad Daugherty, a former five-time NBA All-Star and college basketball standout, will add “NBA and college basketball analyst” to his ESPN resume, beginning in November. Daugherty will appear regularly on NBA Tonight, NBA Coast to Coast, SportsCenter and on additional news and information programming with ESPN, and will also serve as an analyst for most games in ESPNU’s ACC Sunday night package, in addition to other select games, beginning Dec. 1. “I’m ecstatic about having the opportunity to remain a part of the ESPN family,” said Daugherty. “I thoroughly look forward to working with the talented individuals and crews that bring basketball into millions of homes on ESPN throughout the season." Daugherty most recently served as an ESPN NASCAR analyst on NASCAR Countdown, NASCAR Now and across ESPN platforms. He previously covered college basketball as a reporter for ESPN and ABC on ACC telecasts from 1999-2001. Before joining ESPN, Daugherty served as a game analyst for the Cleveland Cavaliers and the San Antonio Spurs local telecasts. Daugherty played eight seasons in the NBA for the Cavaliers after being selected as the first overall pick in the 1986 Draft. Throughout his career, Daugherty averaged 19 points and 9.5 rebounds a game. His No. 43 jersey, a number he wore in honor of Richard Petty, was retired by the Cavaliers in 1997. A 1986 graduate of the University of North Carolina, Daugherty joined the Tar Heels as a 16-year-old freshman. He was a two-time All-ACC player and a first-team All-America in his senior year, when he averaged 20.2 points and 9 rebounds per game. NASCAR sent a memo to teams today, sharing guidelines from the Centers for Disease Control and Prevention outlining the transmission of the Ebola virus. 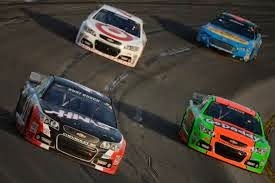 All three NASCAR National Series travel to Texas Motor Speedway this weekend. Texas Health Presbyterian Hospital in Dallas has treated at least two Ebola patients in recent weeks, raising concern in come corners over the safety of teams, officials and fans. The memo confirmed that Ebola can be contracted only by traveling to countries where there are outbreaks in progress, by coming into physical contact with individuals who have treated Ebola patients or by "coming into contact with someone who recently traveled from West Africa AND has symptoms of Ebola." The sanctioning body did not recommend any changes to the daily routines for drivers or crewmembers, who come in regular contact with large numbers of fans. Kevin Harvick had every right to be angry following his 33rd-place finish at Martinsville Sunday. A lap 226 altercation saw Matt Kenseth wheel-hop the right-rear tire of his Dollar General Toyota while diving under Harvick in Martinsville’s tight first turn. Contact between the two sent Harvick spinning into the outside wall, doing significant damage that forced him to the garage for more than 40 laps while repairs were made. The steam boiling from Harvick’s Chevrolet paled in comparison to the smoke rolling from his ears. “Happy Harvick” was anything but happy Sunday, and he didn’t care who knew it. While insisting that the crash was purely accidental, Kenseth said he understood the anger. Kenseth soldiered on after the crash, overcoming cosmetic damage to finish a solid sixth. He currently holds the final transfer spot to the championship finale at Homestead Miami Speedway, just two weeks away. Harvick, meanwhile, stands on the brink of elimination, 28 points away from a transfer. It will almost certainly take a win – Sunday at Texas Motor Speedway or next week in Phoenix – for Harvick’s championship dream to survive. Post-race histrionics notwithstanding, the Stewart Haas Racing driver knows there can be no thoughts of revenge at either Texas or Phoenix. 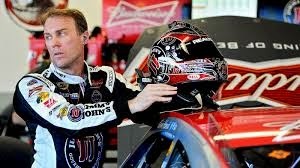 With his championship hopes on life support, Harvick and his Rodney Childers-led team must be fully focused on the task at hand; winning one of the next two races. Like Brad Keselowski at Talladega, Harvick is capable of authoring a Game Seven moment, but only if he puts Sunday’s hard feelings aside. For Kevin Harvick and the Budweiser Chevrolet team, the choice is clear. Do you want to fight? Or do you want to win? 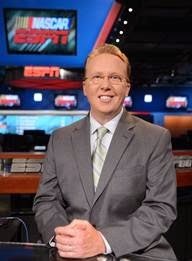 Former NASCAR Sprint Cup race winner Ricky Craven has agreed to a new contract and will remain with ESPN as NASCAR analyst for SportsCenter and other ESPN news platforms. Craven, who started with ESPN as an analyst in 2008, will make regular appearances in the ESPN studio around NASCAR Sprint Cup races and to analyze breaking news as warranted. ESPN is in its final year of televising live NASCAR racing. During his driving career, Craven won the rookie of the year titles in both the NASCAR Nationwide Series (1992) and NASCAR Sprint Cup Series (1995). He won races in both series as well as in the NASCAR Camping World Truck Series. He also won the 1991 championship of what was then known as the NASCAR Busch Grand National North Series. 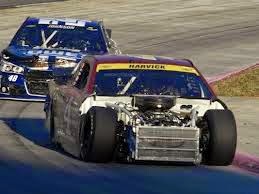 In the NASCAR Sprint Cup Series, the Newburgh, Me., native won in what is tied for the closest recorded finish in NASCAR history when he edged Kurt Busch at the finish line by .002 second at Darlington, S.C., in 2003. His last fulltime season of driving was 2005. 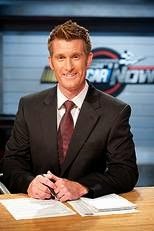 As the 2014 NASCAR season heads toward the finish line, NASCAR fans will see Craven and hear his analysis on SportsCenter on the day before, day of and day after each of the three remaining races in the Chase for the NASCAR Sprint Cup. Jimmie Johnson will not win the 2014 NASCAR Sprint Cup Series championship. And while the six-time champ admitted that there could be changes to his Lowes Chevrolet team before the start of next season, he made it clear those changes will not involve crew chief Chad Knaus. Aside from a three-wins-in-four-weeks stretch in late May and early June, Johnson and Knaus struggled to live up to their lofty competitive standards. A 24th-place finish last weekend at Talladega Superspeedway signaled their exit from title contention, and triggered speculation that the pair might not return for another run in 2015. The Hendrick Motorsports driver confirmed that personnel changes could be in the offing, however, in an effort to return to championship form next season. “This does open up an opportunity for us to work on ’15 from a personnel standpoint,” he said, admitting that at some point, Knaus may tire of the rigors associated with being a Sprint Cup Series crew chief. “That day is out there,” Johnson ackowledged. 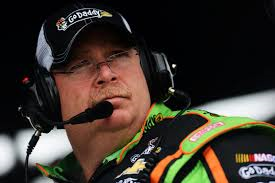 “I think a crew chief’s lifespan is much shorter than a driver’s. They live in dog years, and drivers can carry on much longer. I’ve been accused of being loyal to a fault in the past. That’s me. (But) I have no plans or desires to make a change. “When Chad decides he’s had enough of being the guy on the box, it will be his decision to step down. It’s more a time frame of when Chad says, ‘I’ve put in my time here as crew chief, and I need to slow down a little bit.’ As far as I’m concerned, we’ve made it 13 years (as a team). I want to see it go as long as it can. 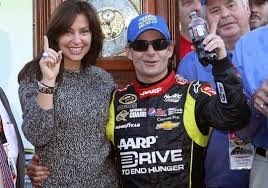 Jeff Gordon knows the way to Victory Lane at Martinsville Speedway. The California native is an eight-time winner at the venerable Virginia half-mile, and said today that he couldn’t be happy to return there this weekend. “I can honestly say, never has (Martinsville) been more important than this weekend,” he said. “I haven’t gone back through the stats of exactly what this track meant to my championship runs in the past, I just knew that it has always been a track that I’ve had confidence in. Our cars are good, our team is solid here and we come in believing that we have a chance at winning. Asked if he feels lonely after having all three of his Hendrick Motorsports teammates eliminated from title contention last weekend at Talladega, Gordon said, “I don’t. We always share information, work together and have our debriefs. The crew chiefs are constantly talking about set-ups and how to get better as we go into each race weekend. I feel like that will continue. “I think that the only difference is that we’re not racing them for the championship. When you race for a championship, every split second counts and you race one another extremely hard. And if those guys have a chance at winning they’re still going to race hard. (But) beyond that, they’re very supportive. Gordon said he is unsure whether the three former Sprint Cup Series champions still in the 2014 hunt will have an advantage the rest of the way. “It’s me, Brad Keselowski, and Matt Kenseth,” he said. “My championships were won under a completely different format (and) all of them were under a different format than this one, So, I don’t know if it gives an advantage to anybody. The team that handles pressure well and (has) these upcoming tracks suit them well; those are the ones with the advantage. The four (teams) that have been the strongest teams all year long are in there. That’s the No. 22 (Joey Logano), the No. 2 (Brad Keselowski), the No. 4 (Kevin Harvick), and ourselves. 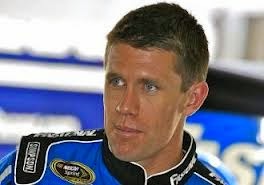 Other drivers have made more noise than Carl Edwards in the 2014 season, but none of them are any closer than he is to the Sprint Cup Series championship. With two wins and seven Top-5 finishes in 32 starts this season, Edwards has been overshadowed by drivers like Brad Keselowski, Joey Logano and Jeff Gordon. But while others have more visits to Victory Lane, Edwards arrived at Martinsville Speedway this weekend in an eight-way tie for the Sprint Cup Series championship lead. Edwards said this year’s new Chase format has ramped-up the intensity and placed a premium on winning, adding, “We got a win early -- which was spectacular – and up until the Chase started, we were having fun. There wasn’t a lot of pressure, (but) there is more pressure now. Edwards said the tight Martinsville half-mile provides a much different challenge than Talladega did a week ago. “It’s a tough place,” he said. “It’s a difficult race track that requires a balance of finesse and focus and aggression. If you watch the guys after the race, when they get out of their cars, most of us will be sitting down and breathing heavy. It’s a physical, tough race track. It’s not like Talladega, where you’re waiting around for something to happen. There’s always something happening here and you’ve got to be vigilant and focused the whole time. “You have to balance how aggressive you want to be,” he said. “You don’t want to rip the fenders off and have the wheels pointing the wrong direction. I’ve tried all that stuff and it does not work. You have to race with a certain amount of etiquette. If you watch the guy that wins, his car will probably be pretty much the same shape as it was when he started. He won’t have made too many people mad, because otherwise he would be wrecked." Perhaps surprisingly, Edwards said his status as a lame-duck driver at Roush Fenway Racing has not affected his team’s performance. “It’s been great and it has surprised me how much hasn’t changed since I announced I was leaving,” he said. “Robbie Reiser, Steve Newmark, Jack Roush, they’ll joke around a little bit about it, but there’s really nothing but hard work and dedication by all those guys to get this 99 team a championship. “He said, ‘We actually had a talk about that. We thought it would be pretty silly to not go 100-percent at this championship,’ so nothing has really changed (and) I hope it continues like that. 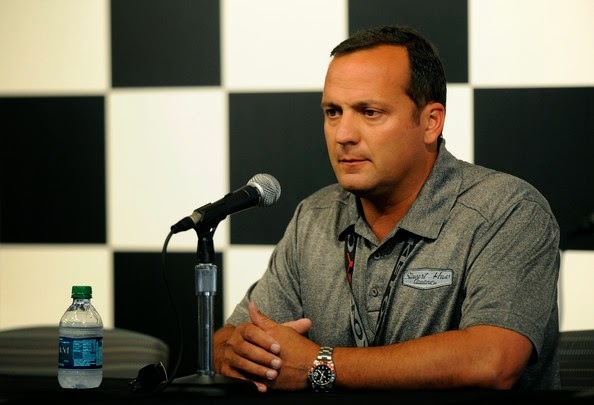 Stewart Haas Racing Director of Competition Greg Zipadelli met with the media today at Martinsville Speedway to explain the team’s decision to swap crew chiefs between their No. 10 and No. 41 Chevrolet teams, beginning next weekend in Texas. Veteran Tony Gibson will work with driver Kurt Busch, while Daniel Knost climbs atop the pit box for Danica Patrick. “We are looking to try to get both teams to be a little more consistent,” he said. “They have had speed throughout the year, but haven’t necessarily put the whole season together… at the level we expect from them. Tony Gibson has got a lot of experience (and) that group has been with a lot of veteran drivers. We just felt like it was worth moving him over to Kurt. We feel like his experience will help put that group together and get the finishes that we need out of that team. “As far as Daniel, he is a young aggressive, very smart engineer. Danica is used to dealing with engineers from her background. Actually, a while ago, she talked about having the opportunity to work with a younger engineer and build the relationship over time (and) I feel like it was the time to do it. Zipadelli candidly stated that Gibson may be better equipped to deal with the temperamental Busch than Knost has been. “(Gibson) dealt with Mark Martin, Dale Earnhardt, Jr. (and) Michael Waltrip back in the day, so I think he has heard it all,” said Zipadelli. “He'll let it go in one ear and out the other. Because of his experience (and) the time he's been in the sport, he will probably be able to handle that a little bit better. He's been around a long time and dealt with a bunch of different people. He's kind of toward the end of his career… not all revved-up and young and worried about anything other than trying to go out and win races. In all honestly, it is a really good opportunity for him with the cars he's been building to go out and try to win a few races in the next year or two." Zipadelli said that despite being named only an interim crew chief for Patrick’s operation, Knost is the leading candidate for that post in 2015. He said he is unsure why Knost and Busch failed to bond as a team, adding, "They are just two different people. Daniel is a very methodical guy. He's spent a ton of time in college learning the things that go on behind the scenes. Kurt is kind of more of an immediate `I want an answer,’ results kind of guy. Daniel has done a great job, (but) we just can't wait another year for that to continue to grow. It is as simple as that." Zipadelli said the first-year crew chief was “really fed to the wolves” this season, being thrust into a –profile crew chief’s role with no experience. “He was a guy without a lot of experience, (but) he won a race and made the Chase. It’s just been and up and down year. I think he has a lot of potential, (so) we put him with Danica. I think they have got the opportunity to learn and grow together as Danica continues to grow every week. “I think long term, it’s the right thing,” he said. “There might be a step backwards (for Patrick) while they get to learn each other and grow. But long term, two years from now, I think the personalities between Daniel and Danica will work together much better. I think the same thing will happen on the No. 41 car. He said that race day communication with an engineering-based crew chief is “what (Danica) grew up with. She came from IndyCar (and) that is what they had. The way they do things is a little different than the old-school racer does things. She wants to know more about what they are doing… just trying to learn. Richard Petty Motorsports announced today their newest partner, BLUE-EMU, the odorless, non-greasy and deep-penetrating topical emu oil formula that soothes muscles and joints. BLUE-EMU will be an associate sponsor of RPM with their logo appearing on the roof strip and the lower-rear quarter panel of the No. 9 Ford Fusion beginning this weekend at the Martinsville Speedway. The multi-year agreement will also integrate Richard Petty as a spokesperson for the brand. This will not be the first venture into sports marketing for BLUE-EMU, but it will be the first to combine two legendary and Hall of Fame sports figures, Johnny Bench and Richard Petty. Bench and Petty will be featured together in new television ads to debut in 2015 for BLUE-EMU. The company has already grown expediently with Bench and expects the same with their latest partnership with RPM and Petty. "Our group at Blue-Emu is truly excited about this opportunity to have Hall of Fame driver Richard Petty and his team on board with our brand," said Susan Gregory, President and COO of parent company NFI Consumer Products. "Johnny has exceeded our expectations for Blue-Emu in 2014, and having Richard Petty and his team join our group will allow us to reach a new demographic and inform them about how Blue Emu can soothe their joints and muscles." "I always stay with products that help," said Richard Petty, Co-Owner of Richard Petty Motorsports. "I am as busy as ever and BLUE-EMU will continue to keep me going. I can count on them for fast comfort after long days. We're going to trust them to always keep our crews in the race too and welcome them to our team." Richard Childress Racing and South Point Hotel & Casino announced today the renewal of their partnership for the 2015 NASCAR XFINITY Series season with driver Brendan Gaughan. "The South Point Hotel & Casino is pleased to return as primary sponsor of the Richard Childress Racing No. 62 Chevrolet Camaro in the 2015 NASCAR XFINITY Series season." said Michael Gaughan, owner of the South Point Hotel & Casino. "Watching Brendan and the RCR team in victory lane this season has been a lot of fun for South Point and the Gaughan family. We are looking forward to more great accomplishments next season." South Point Hotel & Casino's partnership with Richard Childress Racing began in 2012 with Gaughan running a limited Nationwide Series schedule and eight NASCAR Camping World Truck Series races. The partnership continued in 2013 with a full time Camping World Truck Series schedule where the team finished seventh in the driver championship point standings. South Point Hotel & Casino made the full time move to the Nationwide Series for the 2014 season. "Returning to victory lane this season has been a big morale booster for not only me but for my team as well," said Brendan Gaughan. "For the remainder of the year we will continue to learn and find things that work to get us a leg up on the competition for next season. I can't wait for next year with the No. 62 RCR team and to contend for the XFINITY Series championship." The Las Vegas-native collected his first-career win at Road America in June, which was only the third time in NASCAR history a race has been run in the rain. 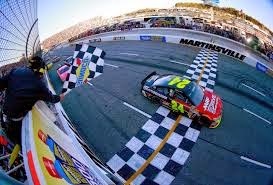 This victory came after he made 98 Nationwide Series starts. 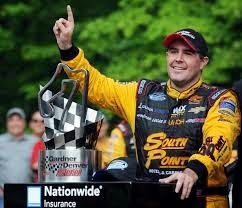 Gaughan returned to victory lane three months later at Kentucky Speedway in September. With only three races left this season, the 39-year-old driver leads the Nationwide Series regulars with most green flag passes (1,813), earning two top-five and six top-10 finishes with 54 laps led. Gaughan's two wins add to RCR's 2014 Nationwide Series overall accomplishments, which include four victories and four pole awards. "Michael, Brendan and the entire Gaughan family have been great to work with and I am very pleased we can continue our winning ways with them next season," said Richard Childress, chairman and CEO of Richard Childress Racing. "Brendan is an asset to RCR and his wins this year show what hard work and dedication can achieve." Marty Smith, who has served as lead NASCAR reporter for SportsCenter and other ESPN platforms since 2007, has agreed to a new contract and will remain with ESPN as a bureau reporter. One of the most eloquent and informed reporters in the sport, Smith will travel from his base in Charlotte, N.C., to cover a variety of sports for the network, including NASCAR, pro and college football and basketball, and other sports. He also will still write for ESPN.com on NASCAR and other topics and will continue the popular Marty & McGee podcast on ESPN.com, which he co-hosts with ESPN the Magazine senior writer Ryan McGee. Smith’s new role officially begins January 1, but as he focuses on covering the final four weeks of the NASCAR season, he will be expanding his duties, including reporting on the Oct. 28 home opener for the NBA’s Charlotte Hornets. ESPN is in its final year of televising live NASCAR racing. Prior to joining ESPN, Smith was a senior writer for NASCAR.com, an analyst and host on the former SPEED Channel and a NASCAR analyst on Fox Sports Net. A Radford University graduate, Smith covered sports for daily newspapers in Roanoke and Lynchburg, Va., before joining NASCAR.com. Over the past eight years, Smith has broken multiple big news stories from the NASCAR world on various ESPN platforms. In addition to reporting for SportsCenter and writing news and features for ESPN.com, Smith also has contributed to ESPN’s NASCAR event television coverage with numerous unique features and extensive, in-depth and revealing interviews with nearly every top driver in the sport. This week, Smith is preparing a feature for SportsCenter on the relationship between Kansas City Royals manager Ned Yost and the late seven-time NASCAR Sprint Cup champion Dale Earnhardt and will then report from the NASCAR event in Martinsville, Va., this weekend. "I'm so fortunate to have a challenging, rewarding job that allows for creativity, and to have colleagues and bosses that believe in my approach and my ability,” said Smith. “I love sports and the intensity therein, and I'm thrilled by the prospect of diversifying in the coming years, while still maintaining my passion for motorsports. I appreciate the opportunity, and I don't take it lightly." Best wishes, Marty. ESPN's gain is NASCAR's loss. Stewart Haas Racing has confirmed that it will swap the crew chiefs for drivers Kurt Busch and Danica Patrick, beginning next weekend at Texas Motor Speedway. Veteran Tony Gibson, who has manned the pit box for Danica Patrick throughout her NASCAR Sprint Cup Series career, will serve as crew chief for Kurt Busch and the No. 41 Haas Automation Chevrolet in 2015. Busch’s current crew chief, Daniel Knost, has been named interim crew chief for Patrick and could continue in that capacity in 2015, though sources close to the team say a final decision has not been made. 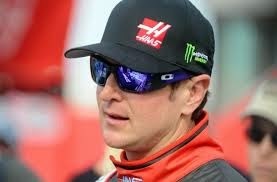 Busch qualified for the 2014 Chase for the NASCAR Sprint Cup, but was eliminated at the end of the Challenger Round. Patrick is currently 27th in championship points, with three Top-10 finishes in 32 starts. The move involves only Gibson and Knost, with both teams’ over-the-wall pit crews remaining unchanged. 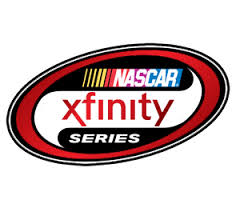 NASCAR has announced three key enhancements in the NASCAR XFINITY (currently Nationwide) Series and NASCAR Camping World Truck Series for the 2015 season. Beginning next season, the maximum starting field for NASCAR Camping World Truck Series races will 32 trucks, as opposed to a 36-truck field in previous years. Sprint Cup Series starting fields will continue to be 43 cars, while the NASCAR XFINITY Series will remain at 40. In addition, changes will be made to the qualifying procedures for the NASCAR XFINITY and Camping World Truck Series, to closely resemble that of the NASCAR Sprint Cup Series. In the NASCAR XFINITY Series, cars starting in positions 1-33 will be determined by their fastest single lap during qualifying. The Camping World Truck Series will follow the same procedure for positions 1-27. In the XFINITY Series, the next six positions will first be assigned to the highest ranking cars in owner points that have attempted all of the races, have not already earned a starting position through qualifying and have entered the event by the posted entry deadline. The final starting position will be awarded to the most recent eligible past champion driver. If there is no eligible past champion driver, then a seventh car will make the field based upon owner points. In the Camping World Truck Series, the next four positions will first be assigned to the highest ranking trucks in owner points that have attempted all of the races, have not already earned a starting position through qualifying and have entered the event by the posted entry deadline. The final starting position will be awarded to the most recent eligible past champion driver. If there is no eligible past champion driver, then a fifth truck will make the field based upon owner points. Currently, the top 30 cars and top 25 trucks in owner points in each series were guaranteed a starting spot in each event. Starting next year, a maximum of seven cars and five trucks will be locked into each race. If a qualifying session is cancelled because of inclement weather, each series’ field will be set per the rule book with starting lineups determined by practice speeds. Drivers’ last names will also be featured on the back window of each series’ cars and trucks next season, helping fans to better identify the drivers. Rear-window placement allows for XFINITY and Camping World to continue to maintain placement on the front windshield. David Ragan will race at Martinsville Speedway this weekend with a special, throwback paint scheme honoring NASCAR Hall Of Fame Inductee Wendell Scott. Like Ragan, Scott drove a No. 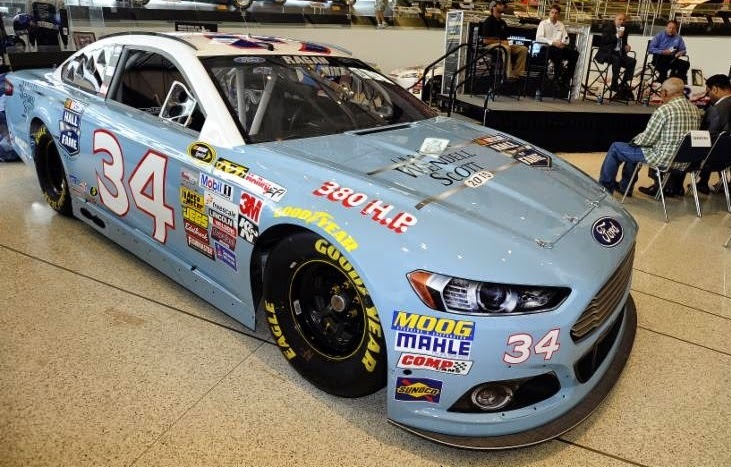 34 entry on what was then the NASCAR Grand National Series, and the Wendell Scott Hall of Fame Tribute Ford carries the same powder-blue paint scheme and white numerals as Scott campaigned in the 1950s and `60s. A native of nearby Danville, Va., he was the last Cup driver to win in the No. 34 before Ragan turned the trick in May of last year at Talladega Superspeedway. "It's going to be really cool to have our No. 34 Ford on the track at Martinsville with Wendell Scott's old paint scheme,” said Ragan. “I've always had an appreciation for the history of our sport and the people who made it what it is today, and Wendell Scott achieved quite a bit in his career, not just for himself but others that followed. "It's perfect that we're doing this tribute at Martinsville, which was Wendell's home track,” he added. “I love Martinsville. It's got a great feel to it. It feels like you're going back a couple of decades when you walk in. You're also back to working on the mechanical side of the race car. You don't have to worry about your aero platform or your ride height. You just go and get your car mechanically to drive good. "It's a good track for us. We qualified eighth there last year and had a Top-15 car until we had a part issue. But Martinsville is a lot of fun. I enjoy racing there and just enjoy being there in that throwback environment." Ragan has one Top-10 and four Top-15 finishes in 16 career Martinsville starts, with a best finish of eighth in 2011. Earnhardt On Title Hopes: "We're Still In It"
Johnson On Chase: "I'm Ready To Get Going"